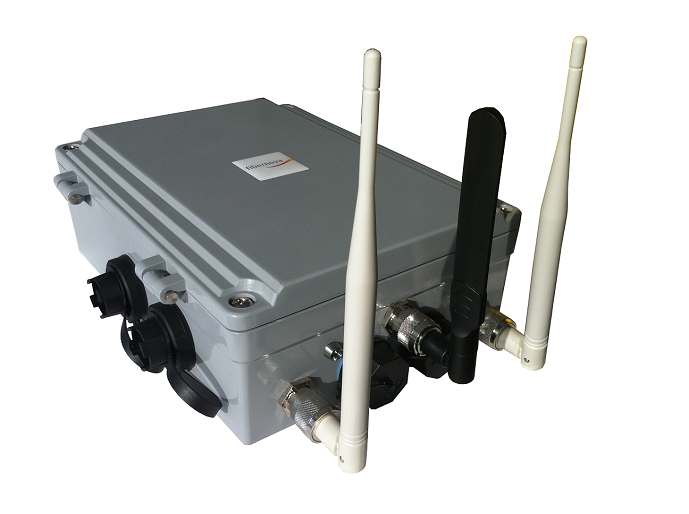 FIB3G and FIB4G routers are cellular ruggedized devices for outdoor installation. They provide data transfer function through public cellular network(s) with one or two 3G/4G modems. Built on a high-powered industrial 32-bits CPU and embedded real time operating system, the routers support Ethernet, WIFI (in AP or Client mode) and RS232/RS485/RS422 ports that can conveniently and transparently connect multiple devices to a cellular network.